There are several ways you can insert templates in your project. 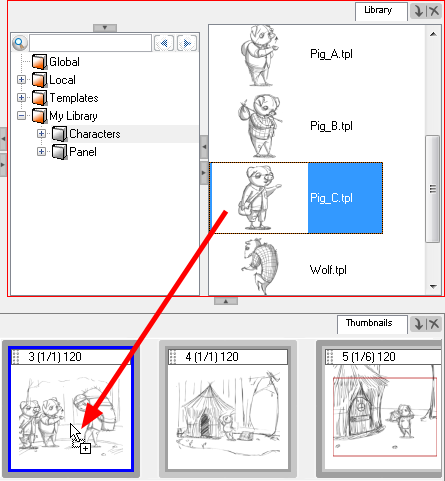 Since a template is like a scene, you can open the template’s folder and select elements inside it, such as specific drawings. 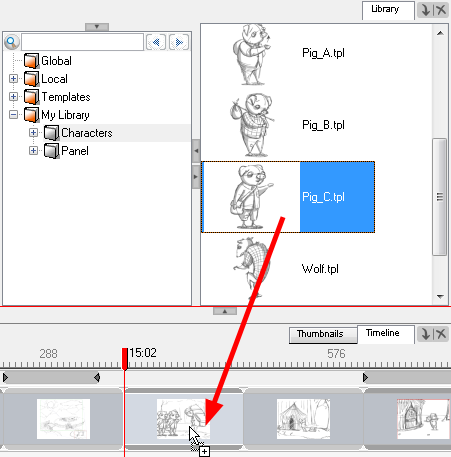 You may only want to import a few drawing layers instead of inserting the entire contents of a template. In this case, use the Open As Folder command to insert the items you want. 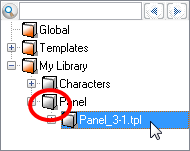 In the Library view, select the template to open. Right-click the selection and select Open As Folder. In the Library list, explore the template’s folder to display its content.